Josh and Edmond came up with Sahale snacks back in 2003 when they went mountain climbing in Washington. While their trail mix and nuts replenished their energy, it didn't have a good, flavorful taste. "We use whole ingredients in their natural form -- such as cashews, almonds, pecans, pumpkin seeds, and peanuts -- and combine them with naturally dried and preservative-free (unsulphured) fruits, then add fabulous ingredients like organic orange blossom honey, lemongrass, balsamic vinegar, Moroccan harissa or pure ground Madagascar vanilla beans. 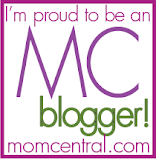 They are all natural, delicious, conveniently packaged, and full of nutrition." The wonderful folks at Sahale Snacks sent my family and I some samples to try. They didn't last long in our house! My personal favorite happened to be the Cashews with Pomegranate + Vanilla. The kids loved this one too! How they made them so yummy, "Pomegranate, Vanilla, and Cashews. Our whole roasted Cashews are teamed with Pomegranate and Apple, and balanced with pure Vanilla bean. Our light glaze adds just the right amount of sweetness." The other snacks we tried were Barbeque Almonds with Mild Chipotle + Ranch, Southwest Cashews with Chili + Cheddar, and Almonds with Cranberries, Honey + Sea Salt. These are a delicious healthy snack and can be easily thrown in your lunchboxes and hiking packs. This is a quick, flavorful, healthy snack option for anyone on the go. And, if you're a busy mom and your kids love nuts, you have to let them try these. You can find their products at Starbucks nationwide, Costco, Walmart, some grocery and specialty stores. I originally found these delicious snacks on Amazon.com. 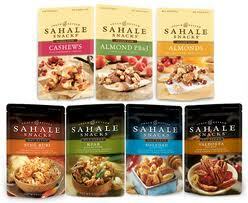 You can find out more about Sahale Snacks and what they're all about on their website. "Like" them on Facebook and "Follow" them on Twitter to keep up with what's going on in the Sahale Snacks world.